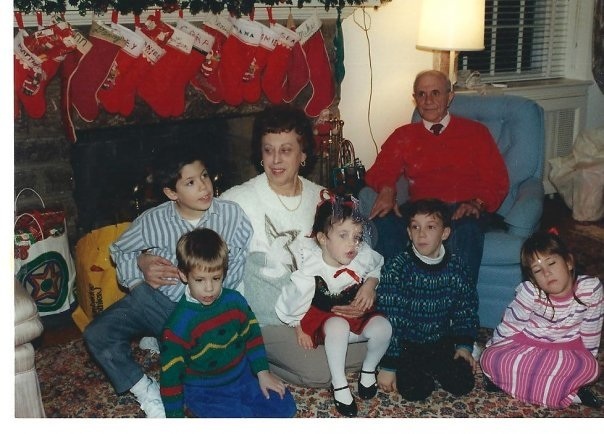 Growing up, Christmas Eve meant going to Mom Mom and Pop Pop’s house with ALL the cousins (check out those stockings! ), getting to open the first of our presents and then waiting for Santa to come by on a firetruck and give us a gift out of his big red sack. All these years later, I never really question how the whole firetruck thing worked, because even now the memory of it reminds me of the magic that is Christmastime. The tradition started to change after 1995. My Mom Mom passed away, slowly families moved, and of course kids grew up. But I still remember those Christmas Eves like they were yesterday. I remember getting a stuffed dog where you opened up its tummy and found puppies (my cousin’s dog had more puppies than mine, I was totally jealous! 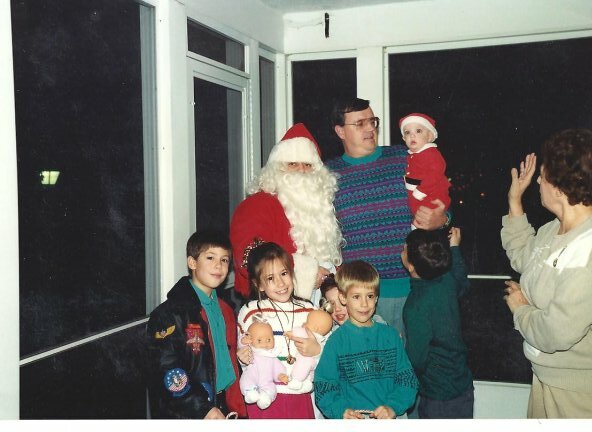 ), I remember we used to get about $10 in our stockings and back then it felt like all the money in the world. But more than the gifts are the memories of jumping on the upstairs beds with my cousins, making Mom Mom spin us in the chair and sing “here we go round the mulberry bush…”, or waiting on the screened in porch listening so hard for the sound of firetruck sirens. It’s so easy to get caught up in the shopping and the wish lists, stressing over traffic at the mall and all the to-do lists. And I bet if you think back real hard, to your fondest Christmas memory, it probably has very little to do with something you unwrapped. There’s more love in these photos than in anything I’ll ever find under the tree. And THAT, my friends, is the true magic of Christmas.